Specifies which documentation tool should be used to determine editor presentation and behaviors. 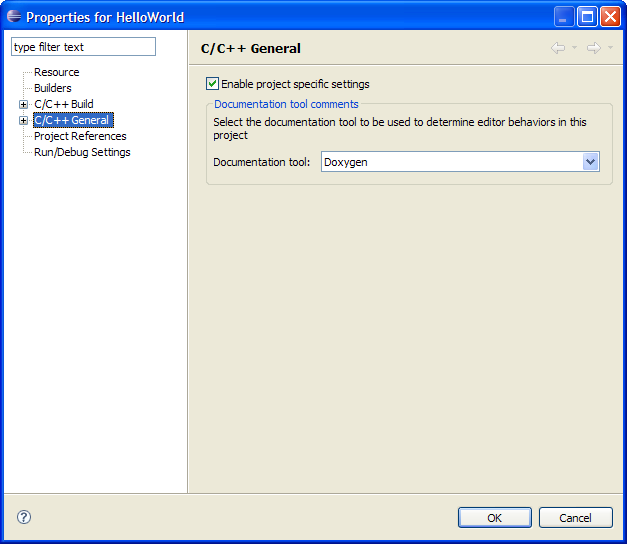 This enables editor features such as content-assist, documentation comment generation and syntax highlighting. The particular tool selected here will be used for the files under this project and overrides the workspace level preference. Note this preference is only available for the project level.